A new page turns in the unruly life of Dray Prescot, and all his strengths and inner resources will be required to confront fresh problems and perils. The Star Lords, furthering their mysterious ends, demand that he unite all the continents and islands of Paz as an emperor. This task is beset with innumerable difficulties. So join Dray Prescot as he rides south from the port city of Zandikar on the inner sea of the continent of Turismond, the Eye of the World, with his blade comrade Seg Segutorio and the Princesses Velia and Didi of Vallia. Of course, as is the nature of Kregen, they face unexpected peril. 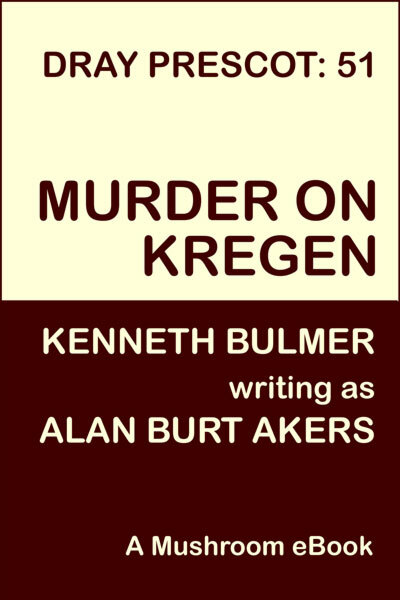 Murder on Kregen is the fifty-first book in the epic fifty-two book saga of Dray Prescot of Earth and of Kregen by Kenneth Bulmer, writing as Alan Burt Akers. 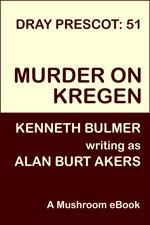 The series continues with Turmoil on Kregen.